Policies Map design to inform the Development Management Plan; one of two main documents making up the Local Plan. 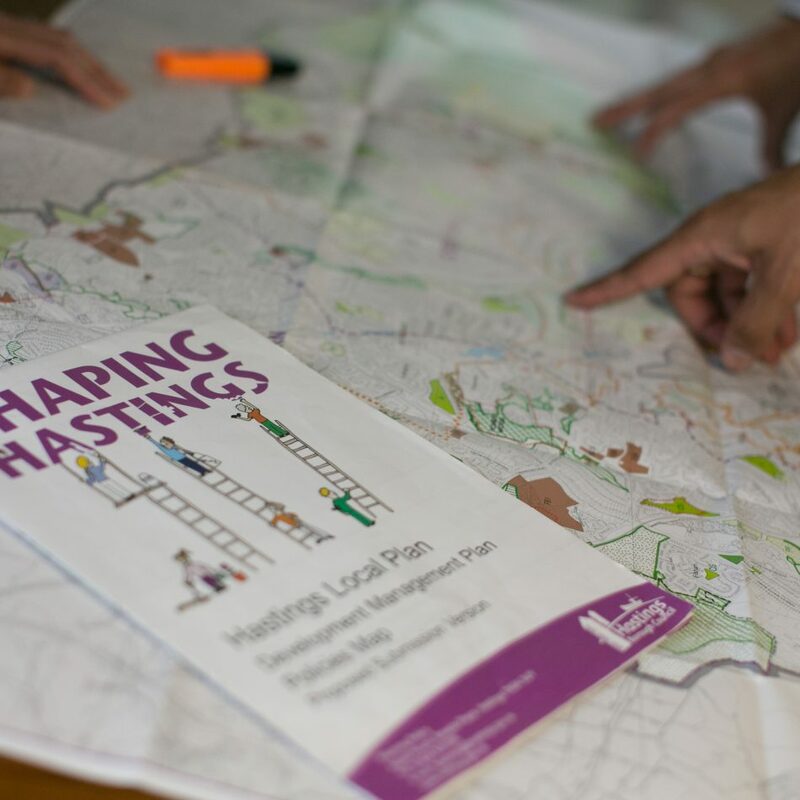 Cartographic design of a new printed Policies Map at A0 paper size, folded to A4, showing the entire Borough and two Inset maps of Hastings Town Centre and St Leonards Town Centre. A fully interactive web-based Policies map linked to the Hastings Local Plan using our planvu solution. Visit Hastings planvu to see the fully interactive online map.